Women made substantial and visible contributions during the Great War. From the start they joined the war effort as nurses and ambulance drivers, and did other work in the Voluntary Aid Detachments. On the home front, they also became munitions factory workers and farmers, drove buses, and took up many other “men’s” jobs. But, as British women learned in 1914-15, military leaders balked at having women physicians working on an equal basis with male doctors at the front lines or in the military hospitals. British women responded by forming their own hospital units (Scottish Women’s Hospital and British Women’s Hospital Corps). Several years later, American women physicians faced similar obstacles. In the Woman’s Medical Journal for February 1918, an article title asked, “Can Women Physicians Serve in the Army?” The author, Dr. Anita Newcomb McGee reported that they could not, at least not as commissioned medical officers in the Medical Department. Many of America’s nearly 6,000 women physicians were eager to serve with the army after the U.S. entered the Great War in April of 1917. Like their male colleagues, they were moved not just by patriotism, but by the opportunity for the unparalleled surgical and clinical experience afforded by wartime service. Moreover, it was a chance for women doctors, still a small and often marginalized segment of the profession, to claim equal status and to be assimilated more quickly into the wider medical community. With the growing momentum of the national woman suffrage campaign, and the achievement of women’s voting rights in many states by 1917, they were optimistic about expanding their claim to professional equality. In June, the Medical Women’s National Association (MWNA, now the American Medical Women’s Association) resolved to petition Secretary of War Newton D. Baker to accept women into the military medical corps on equal terms with men. At the same time, the MWNA established a War Service Committee to advocate for women’s inclusion and to plan related medical services. 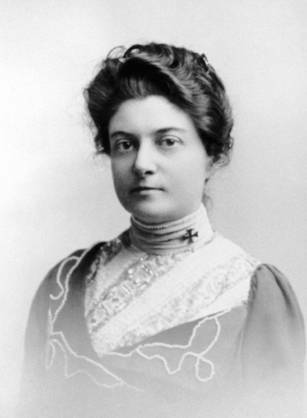 Surgeon Rosalie Slaughter Morton (who had spent several months with the Red Cross at the Serbian front, and visited other women’s volunteer units in Europe) chaired both that committee and the Women Physicians Committee of the Council of National Defense’s General Medical Board. The medical board sent registration forms to all licensed physicians that summer, asking them to sign up for war service. Nearly a third of women responded that they would be willing to serve. Meanwhile, women physicians and their supporters noted that army requirements for medical officer or contract surgeon candidates did not specify that they be male, only “citizens,” and continued to press the Army Surgeon General and the Secretary of War to include women in the medical corps. In response, Judge Advocate General, Blanton Winship, ruling on August 13th, interpreted the requirements for contract surgeons as not gender-specific, and allowed that women physicians could be included in their ranks. (“Surgeon” was a traditional military designation for military doctors, not an indication that all army doctors were surgical specialists.) However, on August 30th, Acting Judge Advocate General S. T. Ansell ruled that the language describing medical officer or reserve officer clearly meant “men.” He reasoned that, given the nature of military office and the tradition of appointing men only, and given that other military regulations specified that soldiers be men, the rules were not intended to allow women as officers. Ansell also noted that women were unlikely to meet the physical requirements for medical officer service. Ansell’s ruling was a disappointment. Women physicians knew that the contractor positions carried no military rank (thus no authority), paid less, and included no pension or other benefits available to medical officers. Many felt that only inclusion in the Medical Reserve Corps (from which civilian physicians were drawn for service for the duration of the war) would give them the professional respect they deserved. They continued to make their case for allowing women to serve as medical officers, and in February 1918 one group of eight exceptionally qualified women physicians asked the Surgeon General and the Secretary of War to give them commissions as a test case. Surgeon General William Gorgas was sympathetic, but deferred to Secretary Baker. Baker said that his main concern was to win the war; he didn’t see how commissioning women doctors would contribute to that end, and didn’t want to make any unnecessary innovations now. Thus, women physicians who wished to serve had two options: they could enlist as contract surgeons, or go to work at one of the many non-military medical services that cared for civilians and refugees in Europe. The MWNA’s War Service Committee, renamed the American Women’s Hospitals, didn’t just campaign for women physicians’ inclusion in the Medical Corps; it also sent doctors to the Red Cross medical aid facilities in France and other parts of Europe. It handled their applications for war service and their visas, and helped outfit them with uniforms and equipment designed and procured by the MWN. It also raised funds for its own field hospitals in Europe, the first of which opened in the summer of 1918. Though many women physicians opposed becoming contract surgeons on principle, fifty-five women signed on for the service in 1918. They served as anesthetists, bacteriologists, and radiologists, or cared for military dependents at army dispensaries in the U.S. Only eleven of them—all anesthetists—were posted overseas. One contract surgeon, Dr. Loy McAfee, who had worked as a medical editor, was posted to the Surgeon General’s Library. There she gathered materials for an official history of the Army Medical Department’s wartime activities. After the war, as a civilian employee, she served as an assistant editor of the 17-volume publication. Through 2018, Circulating Now will periodically publish posts featuring NLM collections that illuminate the medical history of The Great War, which lasted from August 1914 to November 1918.
we need support of the women handicaps in DRC. I wrote an article on women physicians from Connecticut who served in WWI for the Connecticut History Review a few years ago. Fascinating story. This was a fascinating account of women serving in the military in the role of physicians. Thanks for posting this.